When you enter Reeltastic casino you will see a fantasy castle, rainbow and a pink unicorn in the background. The background color is sky blue. The layout and design are different from what we usually see on online casinos but we like it! We took a look in the menu and checked what the hot games section has to offer. Among the hot games we found several NetEnt games, Vikings, Starburst, Berryburst, Gonzos Quest, and Jumanji– We decided to try a game in this area that we never have tried before and that looks appealing. It’s called Forro and the figure on the cover of the game has a mask and looks like Zorro. The game is quite fun. It has lovely guitar music in the background, Musketeers, the black Zorro horse and many other nice symbols. It’s possible to collect scatter symbols and win a jackpot. You should try the Forro slot and give it a couple of spins! You can click on this link and see the video when we played Forro at Reeltastic Casino. There is also a section with Fresh games, classic slots, card&table games, bonus games and a Livecasino section. Among card&table games you can find Casino Hold em Poker, Turbo Poker, Three-card Poker, Keno, Jackpot Keno, bingo Classic and many other games. 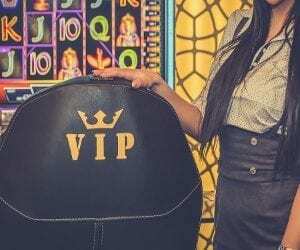 The Live Casino offers different Baccarat games, Roulette games, Black Jack Party, Dream Catcher, Lightning Roulette, Three Card Poker, Speed Baccarat and some other Live Games. The live casino section is okay. We also checked the Bonus section. It’s an interesting section since it’s where you will find the games you can play with your bonuses. The most popular bonus games in Reeltastic casino are Fruit Zen, Lines of Magic, 15 Golden Eggs, Nord’s War and 88 Dragon! We decided to try these Bonus games for you and make a little video so you can see how the games look like! Click on this link to see a Video, when we test the most popular Bonus games on Reeltastic Casino! So, what games should you play with your bonus money? There are lots of games in the bonus section but if you want to play one of the most popular games we would recommend Nord’s War (see video). Actually, all the 5 most popular games are good except Fruit Zen in our opinion. The top 3 among the 5 games we tested are 88 Dragon, Nord’s War and Lines of Magic. Try one of those games! There is a promotions page, right now there are 7 ongoing promotions + 2 special promotions. One of the special promotions is a tournament! If you make your way to the top of the leaderboard you will win €10000! 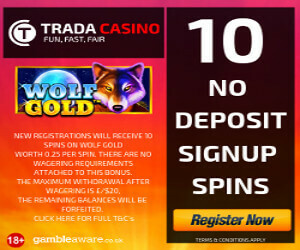 There is also a Wonderwheel with rewards that include free spins, cash spins, bonuses and more. The daily Spin resets every day at 00:00 GMT. A minimum deposit of ( €20, $20) is required to get a spin on the wheel! Like many other casinos Reeltastic casino give you loyalty points. You can exchange these points to cash after a while. Simply choose to redeem your points for cash and the cash shall be placed in your real balance. Tournaments, soon around 1450 different games, lots of promotions and a pleasant atmosphere make it nice to spend time at Reeltastic Casino. The casino is created by casino fans, it’s a serious casino with a great team behind, that is something we like. The reviewers give the casino mixed ratings, some quite bad and some excellent. We would say it’s a good casino with lots of NetEnt games and plenty of different game providers. There is no real jackpot section, Sportsbook or Virtual Sports but plenty of options if you like to play video slots or Live casino games. Another con is that minimum withdrawal is 100 euro. 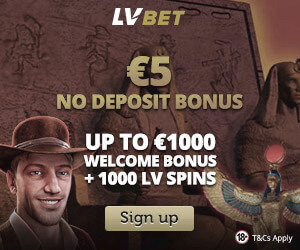 A great thing is that you will get a 10Euro No Deposit Bonus after registration. 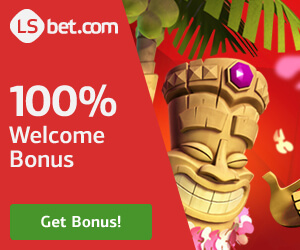 Be aware that you can only play games by Betsoft, Fugaso, Playson, Felix, Booongo and GS with the No Deposit Bonus. Tip, try one of the most popular bonus games in Reeltastic, see our video when we test the most popular bonus games at Reeltastic here. We recommend the games 88 Dragon, Nord’s War and Lines of Magic. If you win with a no deposit bonus at Reeltastic Casino then it’s €50 withdrawal (not more, not less). There is also a Welcome Bonus Package(see details further down). Welcome bonus is guilty for all countries except restricted countries. If you win with a no deposit bonus at Reeltastic Casino then it’s €50 withdrawal (not more, not less). Players from the following countries will not be eligible to make any withdrawals related to this No Deposit bonus and or the winnings accumulated from this bonus: Algeria, Libya, Sudan, Nigeria, Mali, Eritrea, Morocco, Mauritania, Djibouti, Congo, Kenya, Niger, Uganda, Angola, Namibia, Mozambique, Gabon, Zambia, Afghanistan, Armenia, Bangladesh, Uzbekistan , Vietnam, Turkmenistan, Tajikistan, Sri Lanka, Pakistan, North Korea, Malaysia, Macau, Kyrgyzstan, Laos, Kazakhstan, Indonesia, Bhutan, Brunei, Burma, Rwanda, Somalia, Palestine. Sign up and have a fantastic time at Reeltastic!